[134 Pages Report] The overall HMC and HBM market is expected to increase from USD 567.3 Million in 2017 to USD 3,842.5 Million by 2023, at a CAGR of 33.02% during the forecast period. 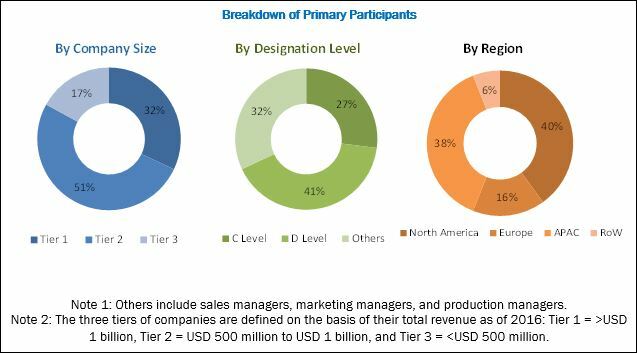 During this research study, major players in the HMC and HBM market in various regions have been identified, and their offerings, regional presence, and distribution channels have been understood through in-depth discussions. To find the overall market size, top-down and bottom-up approaches have been used to estimate the sizes of other individual markets by using percentage splits from secondary sources such as Hoovers, Bloomberg Business, Factiva, and OneSource and primary research. The entire procedure includes the study of the annual and financial reports of the top market players and extensive interview of industry leaders such as CEOs, VPs, directors, and marketing executives for key insights (both qualitative and quantitative) pertaining to the market. The figure below shows the breakdown of primaries on the basis of the company size, designation, and region conducted during the research study. The ecosystem of the HMC and HBM market comprises a network of manufacturers, integrators, and distributors. Key companies in the HMC and HBM market are Samsung (South Korea), Micron (US), SK Hynix (South Korea), Intel (US), and AMD (US). The prominent companies in the market include well-established, financially stable, and technical expert players that have been pioneers in the industry and have innovative product portfolio, proprietary technologies, and strong distribution networks. The overall HMC and HBM market is expected to increase from USD 922.7 Million in 2018 to USD 3,842.5 Million by 2023, at a CAGR of 33.02% between 2018 and 2023. The growing need for high-bandwidth, low power consuming, and highly scalable memories; increasing adoption of artificial intelligence; and rising trend of miniaturization of electronic devices are some of the factors driving market growth. The HMC segment accounted for the largest market share in 2017 mainly due to its higher bandwidth offering than HBM. Moreover, the primary application that HMC serves is high-performance computing, which is gaining traction owing to the developments in artificial intelligence and machine learning. HMC also acts as a far memory and supports capability expansion through the chaining process which is attached to the CPU for a maximum of eight cubes. This ensures scalability which is demanded in high-performance computing. All these factors are supporting the adoption of the HMC technology. The market for APU is expected to grow at the highest rate during the forecast period. An HBM-based APU is a recent innovation by AMD (US) developed to meet the requirements of high-performance computing. APUs integrate both GPU and CPU capabilities on a single SoC. This further improves the overall energy efficiency of APUs by eliminating connections between chips. APUs can also be used for graphics applications. Moreover, AMD (US), the leading manufacturer of APUs, demonstrated an APU with integrated HBM and stacked non-volatile memory cells. This will also serve to drive the adoption of APUs in computing applications. The market for high-performance computing accounted for the largest market share in 2017. High-performance computing has gained traction in the last few years owing to the various developments in artificial intelligence and machine learning. The increasing computational power in the cloud and advancements in sophisticated algorithms are driving the adoption of artificial intelligence by several companies. Along with improvements in AI algorithms, an increasing number of hardware solutions also need advanced devices, which will drive the demand for high-performing memory and processors. Intel (US) has already integrated deep-learning instructions in its Xeon and Xeon Phi processors which use the HMC technology. In terms of geographic regions, APAC is expected to grow at the highest CAGR during the forecast period. 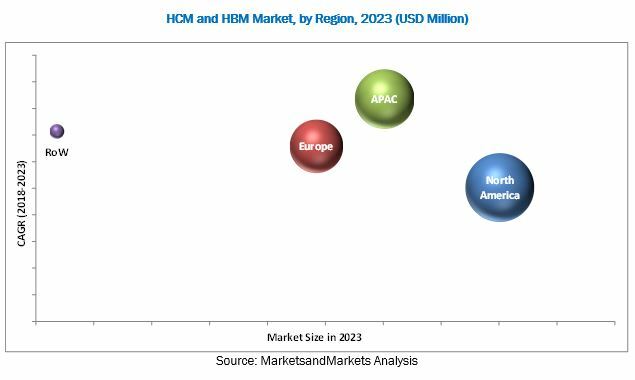 The major drivers for the rapid growth of the HMC and HBM market in APAC are the growing number of data centers and servers, increasing shipments of network equipment, and the rising number of manufacturing activities in the enterprise storage and consumer electronics sectors. The strong economic growth and growing demand for high-density memories is expected to drive the HMC and HBM market in the APAC region. However, the thermal issues caused by high level of integration is restraining the growth of the HMC and HBM market. Key players in the HMC and HBM market include Samsung (South Korea), Micron (US), SK Hynix (South Korea), Intel (US), and AMD (US). Samsung has been at the top position because of its wide contribution to the parent market share and high financial power. The company’s strong market position, coupled with strong brand equity, imparts a significant competitive edge. The company is part of the hybrid memory cube consortium and has begun the mass production of its high-bandwidth memory for computing, enterprise servers and advanced graphics, and network systems.